Gili Trawangan is a paradise island perfect for sunbathing, relaxing and watching spectacular sunsets. But for all you Instagram lovers out there it’s also the most incredible backdrop for your Insta feed! Need to know where to go to get your best posts? 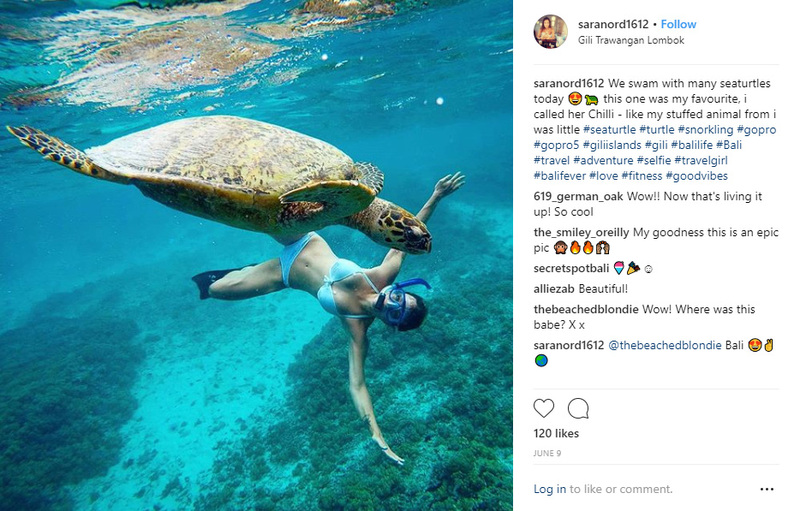 We’re giving you the heads-up on the 10 best Instagram photos to take on Gili Trawangan! Sunset is one of the main attractions in Gili Trawangan. Night after night as the sun starts to descend the sky is painted all shades of pink and orange. 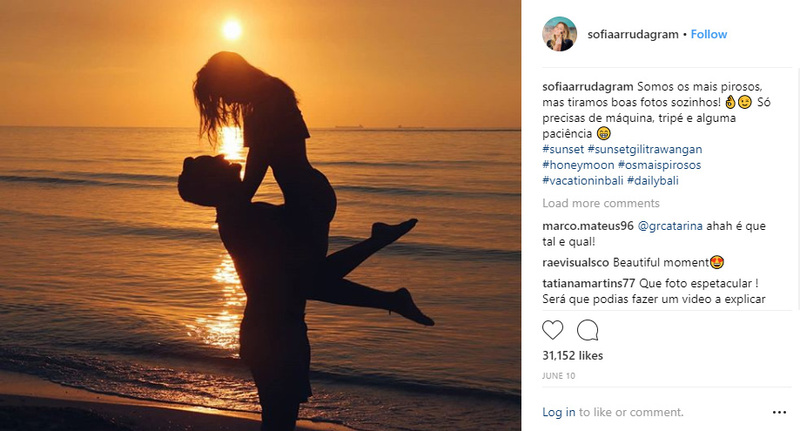 Whether you’re alone, with friends, or getting romantic with your partner, a Gili sunset never disappoints on an Instagram feed. Gili Trawangan may be developed for tourism but there are still gorgeous natural places to have a photo shoot. 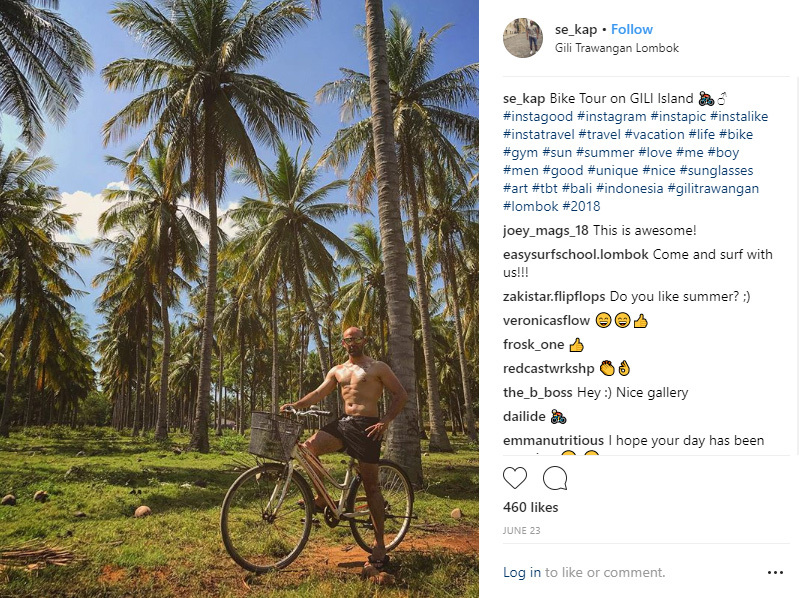 The palm groves you’ll find when you walk or ride around the island make a dramatic backdrop for your Insta-shots. Tall palm trees, bright green grass and the bright blue sky make for some stunning paradise pics. 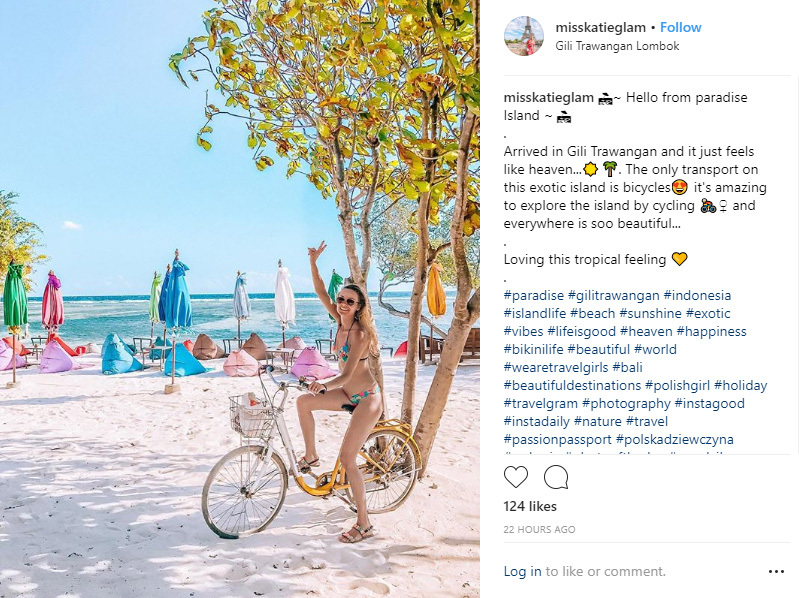 There are no motorized vehicles allowed on Gili T so getting around is by foot or bicycle. The roads run all the way around the perimeter of the island beside the beach so it’s a great setting for photos of tropical bicycle rides. You can ride around the island and stop for swims along the way to cool down and snap plenty of photos. The best sea turtle spotting spot on Gili Trawangan is right off the beach in front of Villa Almarik. Get your snorkel gear on or just swim out from the beach and you’ll usually spot a turtle or 2. You’ll need your GoPro or a waterproof casing for your phone, but you’re sure to get some amazing up-close pics of your new turtle friends. What’s more picturesque than horseback riding on the beach? 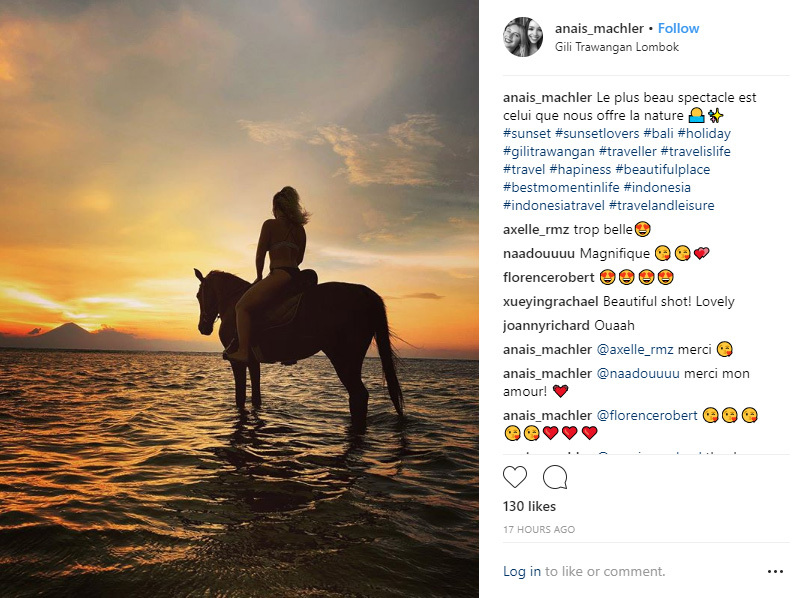 You can take a morning or evening ride on a horse on Gili Trawangan. Get someone to snap photos of you on horseback splashing in the shallows or even taking a nice cooling dip. The horses love to get in the sea and you’ll surely get a gorgeous shot. Gili T is well known as an island for spending quality time on the beach. Find yourself a beach lounger or beanbag and set up your own photo shoot. All you need is the palm trees, blue water, sand and of course your perfect Gili T tan. Add sunnies and a content smile for extra follows. 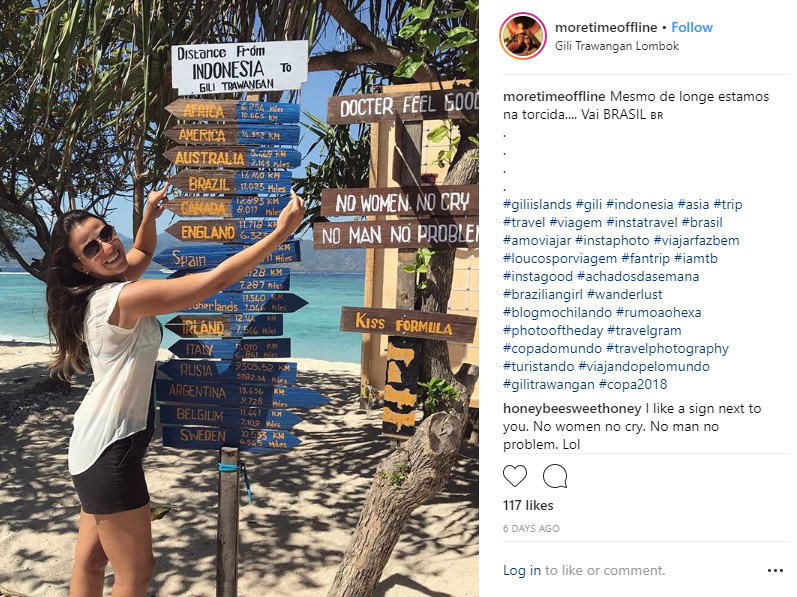 If you were wondering how far you were from other places in the world you’ll find the answer on the beach in Gili T. A great photo for travelers, these signs will ensure all your Instagram followers know you are on your travels far away from big city life. 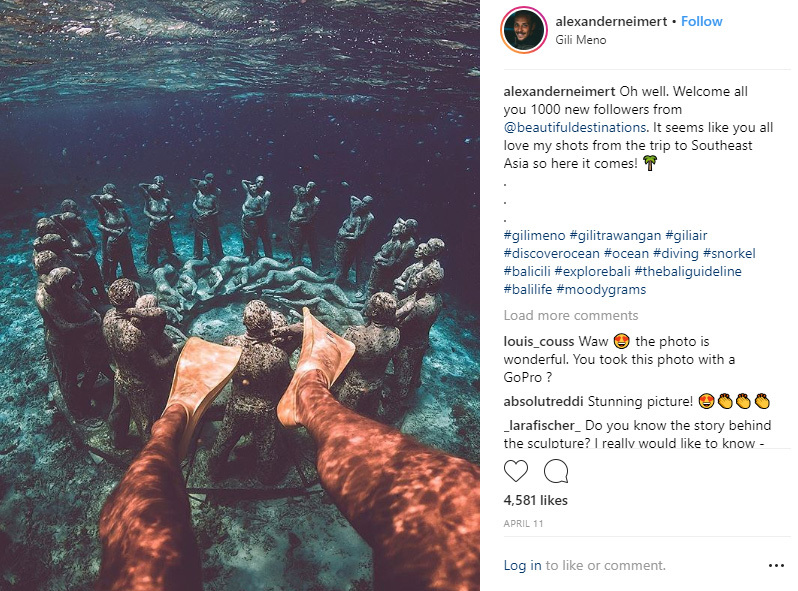 One of the most unique places to take photos in the Gilis is the underwater statue at Gili Meno. Just a short boat trip from Gili Trawangan, this group of 48 human figures is stunningly beautiful and fantastic to photograph. With the statues slowly being covered in coral, there are many tropical fish swimming around to add some colour to your pic. 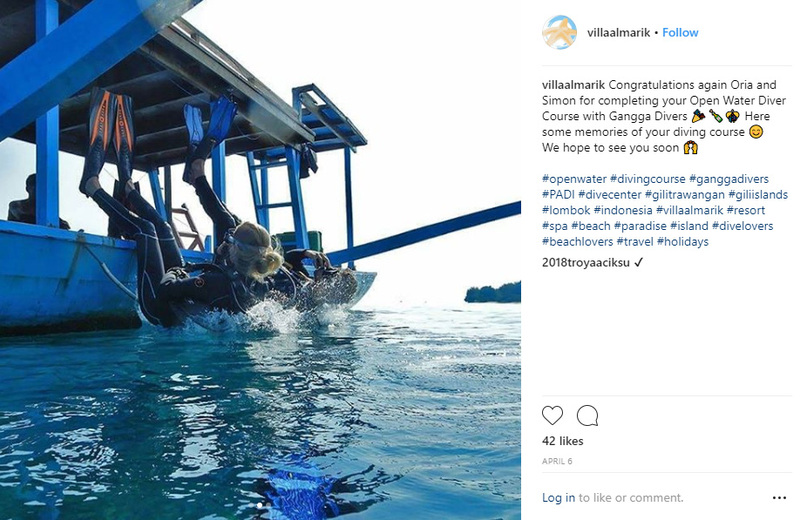 Head out diving with Gangga Divers and you’ll have a great opportunity to take photos from your dive boat. 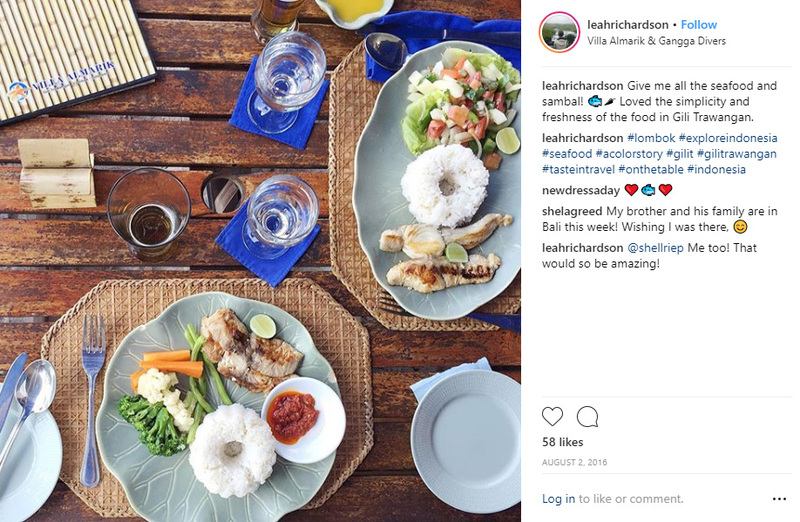 Get your dive squad ready and make sure the crystal waters of Gili Trawangan are sparkling behind the wooden boat and you’ll have the most amazing Instagram photos to share. What’s an Instagram feed without some great food photos? Beachfront restaurants line the beaches and you can get everything from fresh seafood to awesome wood-fired pizzas. The best on the island are at Villa Almarik where you can have a romantic meal with your feet in the sand. 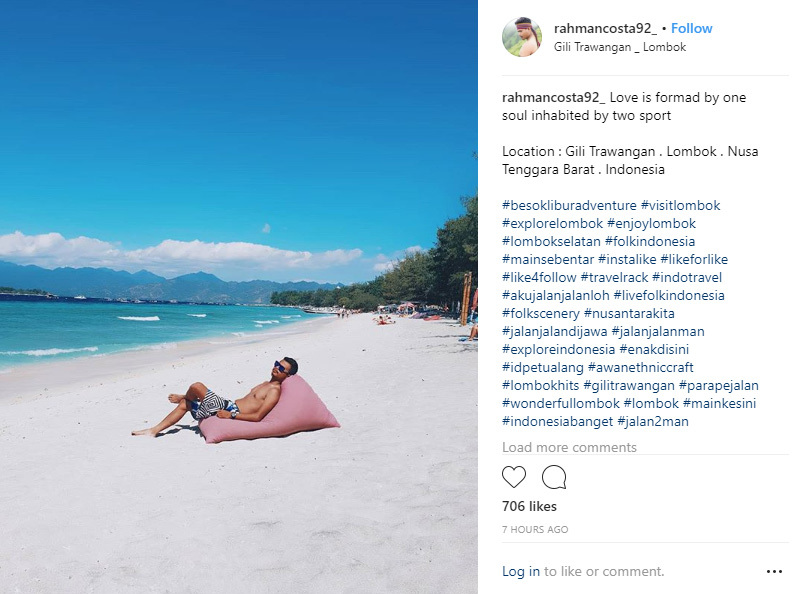 Are you ready for your Insta-worthy trip to Gili Trawangan? What are your favorite types of photos to fill your Instagram feed while you’re on holiday? We’d love to hear in the comments below!